Column Search is a new feature in Vizit 2.0. In Column Search, you can choose a specific document library as well as a content type within that document library and begin searching on individual columns. To start using Column Search, click on the blue magnifying glass icon in the upper right hand corner of the Vizit Pro window. If you do not see it, it is probably because you do not have Search Server installed. Launch Column Search and simply click Search. Here, you can sort based on the fields that you know would be blank (indicating that they are not yet indexed). You can double click on the items to open them for indexing. The Column Search tab will remain open while you work on that document. When you are done indexing any particular document, either close that document's tab or simply return to the Column Search tab to begin work on another document. You can refresh the results by clicking the Search button again. Another helpful feature in Column Search is the ability to use different SharePoint views. 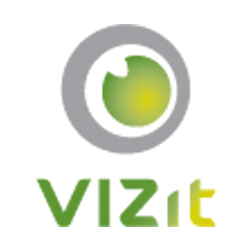 Vizit Column Search automatically recognizes views in a given document library and provides you with a drop down menu to switch between them.